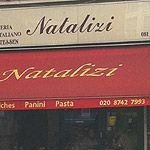 Natalizi offers a variety of hot and cold dishes from its location on Chiswick High Road. Do you work at Natalizi? What did you think of Natalizi?